it pretty much all good i need one more sale, im sure we will have it done by the end of the day !! thanks to everyone who participated in this group buy with maranello bmw. 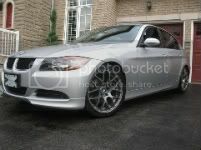 Due to legal reasons pertaining to anticompetitive laws with other bmw retailers, bmw canada was obligated to offer this special that maranello bmw originally negotiated to all bmw retailers. This was a large reason as to why this special took so long to happen. We apologize for any incovenience this may have caused. Can't wait!!!! thanks for making this happen! Thanks for all your help Mike! Goodjob Mike on the GB. Looking forward to many more deals. Thanks for all your hard work on this Mike. I know when I spoke to you that you were frustrated at how things went down and all your hard work ended up benefitting everyone else but without you guys at Maranello, NOBODY would have gotten this offer to begin with so I appreciate the efforts and all the help you give me. Cheers big guy! Way to lead the pack Mike and not be a follower. Thanks for the update Mike! Can't wait!